Tuesday, April 30, 2019, 7:30pm. Buy tickets here. At Temple Emanuel, 8844 Burton Way Beverly Hills, CA 90211. Parking available on local streets and in the Temple’s reserved parking garage located at the corner of Burton Way and Herzl Way. Your ticket(s) will be mailed to you by Brown Paper Tickets. If you loved Mary Norris’ delightful tutorials on grammar and usage on The New Yorker’s website, then you surely loved her first book, Between You and Me: Confessions of a Comma Queen. 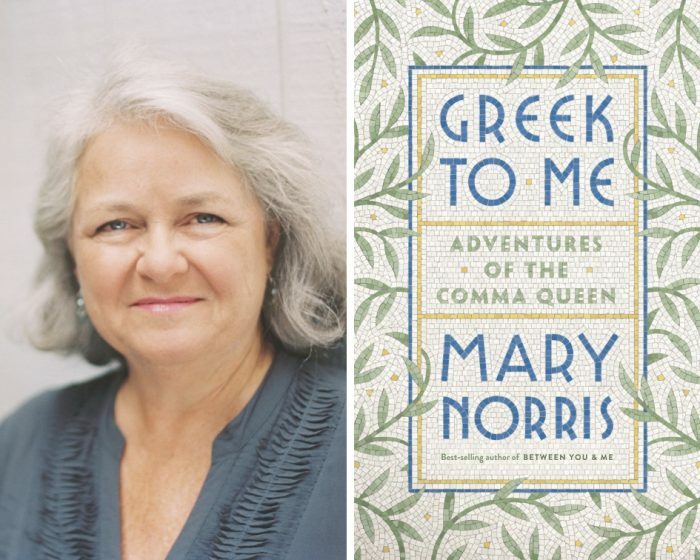 In her new book, Greek to Me: Adventures of the Comma Queen, Her Majesty explains how her love for all things Greek influenced her, fed her soul and intellect. Her stories about her linguistic travails, whether struggling to learn the language or arguing for The New Yorker to pay for her classes, move from funny to frankly heroic, as are her stories about traveling to a Mediterranean country as a single woman alone. Funny and heroic. 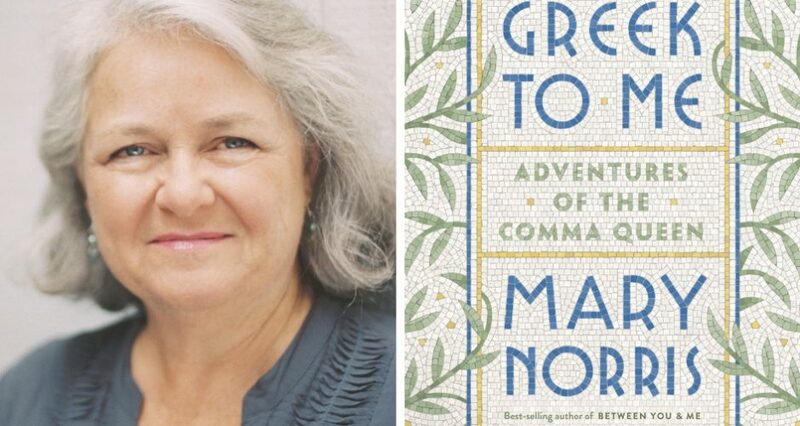 Mary Norris reminds us that Greek myths are the best stories ever told– in addition to her adventures in language and at The New Yorker, perhaps. Patt Morrison is the most elegant grammar nerd around. She knows a great deal about almost everything. Her weekly column for the LA Times has evolved into a popular podcast called Patt Morrison Asks. She is the author, most recently, of Stop the Presses! : Truth, Justice, and the American Newspaper, an exploration of the American newspaper business as it has told the story of our nation’s history, culture, crises and social change. ALL BOOKS MUST BE PICKED UP AT THE EVENT. WE DO NOT MAIL OR HOLD BOOKS. Your ticket(s) will be mailed to the shipping address you listed. If you do not receive your ticket(s) in the mail, please contact Brown Paper Tickets at support@brownpapertickets.com. We can only refund orders if there has been a significant change made to an event, and we have announced that refunds are available. We cannot offer any refunds or exchanges due to scheduling conflicts, illness or other personal issues. This entry was posted in Author, Books, Books, Books, Calendar, Home, Program. Bookmark the permalink.